Today’s business world imposes high demands on the companies and in their pursuit of being the best, companies use advanced technology and innovative strategies. Being a money-saver is not a good strategy, except if you are willing to accept the runner-up place. If you are prepared to slash your margins and achieve higher profits than ever, you need to find a cost-efficient way, such as the old-fashioned direct mail marketing. For this you will need to hire mail house services. Mail house services is one of the most effective ways to expand your business, despite the high influence of the Internet and e-mail marketing campaigns. A mail house is a third party service provider that can help you increase your profits and the number of new clients by managing a reliable mail marketing strategy. Hiring a mail house has many benefits. Better Targeting – As one of the essential parts of any marketing strategy, you have to make sure you have targeted the right audience for your direct mail marketing. If you send you direct mail marketing articles to wrong group of customers, your campaign will fail, that’s for sure. A mail house provider will be able to choose a specific target for you and your business and provide it with reliable and updated information. It may be a little costly than doing it yourself, but better targeting result in higher profits. Cost Saving – The services of mail houses can be very cost efficient. If your company does not deal with bulk material, the mail houses do. The most trusted mail houses in Australia are partners with the Australian Post Office and get lower postage rates when sending mail in bulk format. A mail house will prepare your mails according the Australian Post standards and make sure your mails reaches desired destinations on time. By hiring a mail house, you can achieve up to 30% money savings which you can use to improve other areas of your business. 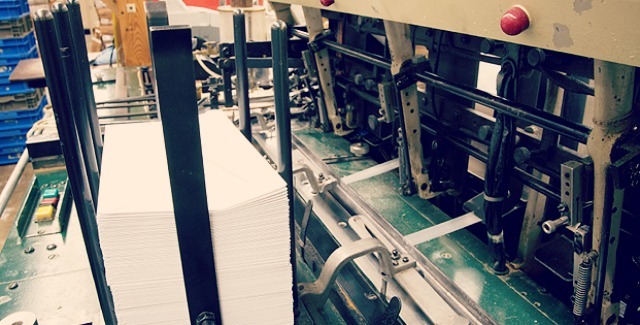 More Accurate Results – Mail houses use highly-advanced machines to perform various finishing tasks, such as folding, printing, enclosing or addressing. You probably do not have proper equipment nor enough staff to finish these tasks quickly and accurately. But by hiring a mail house you can be sure that the results will be as accurate as possible. More accurate results lead to improved customer service and better targeting. So, before launching the next marketing campaign for your new product, let a reputable mail house services provider help you make sure your product reaches the right audience.